Pin-less, Tack-full, or Changeable Plastic Letter Boards are here, ready to work for you. 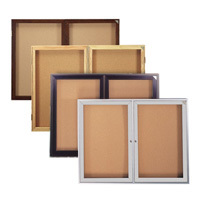 Whether you're looking for frameless corkboards, cork rolls, or rubber tackboards, we have the announcement medium for you. Fabric tackboards, vinyl tackboards, and self-seal corkcoards all make a bold statement and project your message loud and clear. 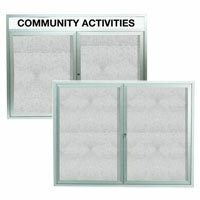 Park boards and Outdoor Corkboards tough it out in nature to spread your message far and wide. Open-faced Letter Boards and Pedestal Bulletin Boards are easy to change around. 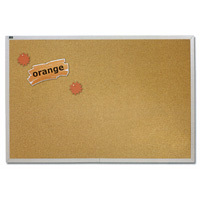 Enclosed Bulletin Boards and Enclosed letter Boards bring together security and style to keep your announcements just the way you like.